Imagine a paperless hospital where an advanced and continually evolving medication management system not only helps care teams deal with prescribing, administering, and reviewing medications in an efficient, safe, and transparent way, but also provides a host of other benefits: efficiency from rollout to training and support, improved care outcomes, increased safety, and elements which empower all members of the medical team – clinicians, nurses, and (clinical) pharmacists. In order to better understand what the requirements should be for such comprehensive medication management system, let me first explain all the key phases in a medication management solution, and the reasons for their importance. Medication reconciliation discharge summary: Serious complications during inpatient care and even readmissions can occur due to inaccurate information about a patient’s prior or new prescription regimen. Medication reconciliation is so crucial that the system needs to support it throughout the whole patient journey – from facilitating the creation of a medication-on-admission list, and prompting prescribers to input reasons for changing medication orders every time they occur, to automatically creating a discharge summary. Outpatient and inpatient prescribing: Handwritten, often illegible prescriptions have long troubled the medical community worldwide as a source of erroneous substitutions and unnecessary transcriptions. 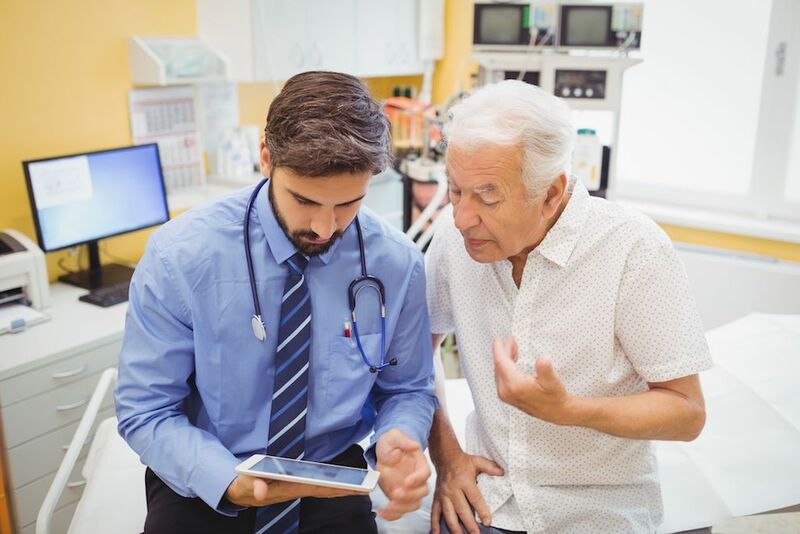 Errors and misunderstandings, in combination with long lists of complex or variable prescriptions, can prolong a patient’s treatment and lead to severe complications. The prescription process should rely on well-established medication terminology, accessibility to predefined order sets, and should be guided by a powerful decision support system. Medication administration: The lack of a systematic approach when changing medication orders during regular rounds, meetings, and interventions can affect patient safety. This also means that there is not enough transparency within the medication management process. Furthermore, at the time of administration, nurses are forced to rely on paper charts to identify the medications to be administered. Nurses need an integrated and systematic solution for tracking changes to medication orders, access to prioritised task lists, and reminders so that they can easily and safely plan and record medication administration events. Furthermore, nurses can benefit from features that will help them administer the correct medications and doses to the right patient, and these include bar-code scanning, decision support, and clearly visible patient details. Clinical pharmacist review: Currently there is a lack of real-time insight for clinical pharmacists within hospitals regarding a patient’s newly prescribed or recently changed medication. As a result, it is virtually impossible to prioritise which medication orders need to be reviewed in order to prevent potential harm or “never events”. At the moment, clinical pharmacists and prescribers are dependent on a time consuming and error prone manual consolidation process for the pharmacist review of patient medications. Clinical pharmacists need to be able to effectively manage their workload, as well as monitor and improve their efficiency. Pharmacist reviews need to be easily created and communicated between medical teams throughout the patient journey. Pharmacy management system: Pharmacy needs a good IT system that will offer support for all pharmacy activities and responsibilities such as stock control, order and delivery, dispensing, ward stock, analytics and reporting, preparation of drugs, etc. In addition, it is crucial that pharmacy management system can easily integrate with a medication management system so that the hospital can set up a closed-loop medication management. Analytics: It is crucial that details from all steps in the overall medication management process are stored in a structured way, so that it can be easily used for reporting, BI projects, knowledge discovery, and other secondary use cases. And one must not forget that optimising or sometimes even introducing any of these steps within a hospital primarily means changing internal processes and implementing best practices. To make the whole process more efficient and quicker, it is also crucial that you implement a comprehensive medication management system (or systems) to cover and support all the above mentioned areas in ways that address key safety aspects, and help with the overall transformation process. You will have several options to consider when deciding on a medication management solution. However, you should also make sure that the system you finally decide to implement not only supports all of the key areas for the overall medication management process, but also includes all the necessary functionalities that will truly enable you to completely get rid of paper-based forms. Finally, you want it to offer your medical teams a powerful decision-support mechanism and the kind of guidance that is not possible on paper. But, do not underestimate the effort needed to implement such a system throughout the hospital – having a proven rollout methodology goes a long way in assuring the overall success of the transformation project. To sum up – when talking about a comprehensive medication system you should think about a product which addresses all the aspects of medication management, is powerful enough to prevent any fall-back to paper, and is provided by a partner who will be able to support you during the rollout phase and advise you on how to implement the kind of continuous learning and optimisation process that is necessary to ensure the constant evolution and improvement of the overall care process.